There is currently just the 1 ferry route running between Finland and Russia operated by 1 ferry company – St Peter Line. 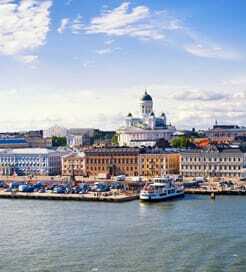 The Helsinki to St Petersburg ferry crossing operates weekly with a scheduled sailing duration from about 14 hours. Whilst we’ve taken great care to ensure the information on this page is correct, as the frequency and duration of crossings on all routes can vary from time to time we’d advise that you get a live quote for current availability on this Finland Russia crossing between Helsinki and St Petersburg. Russia is by far the largest country in the world, covering over one-eighth of the Earth’s inhabited land area, spanning Eastern Europe and northern Asia, bordering the Arctic Ocean, between Europe and the North Pacific Ocean. 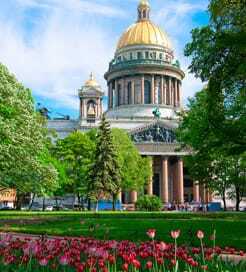 Russia’s great cities of Moscow and Saint Petersburg, the current and former capitals of the country, are the heartland of former Imperial Russia and have now become the focus for most tourists visiting Russia.